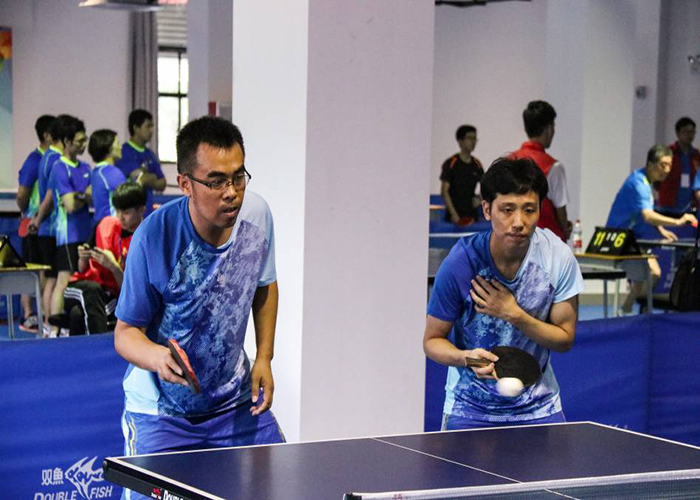 On May 26-27, 2018, under the leadership of the trade union chairman Zeng Jun, Guangzhou Showa participated in the 2018 "Guangqi Parts Cup" staff table tennis competition held at the Wushan Campus of the Guangdong Foreign Language Art Vocational College. 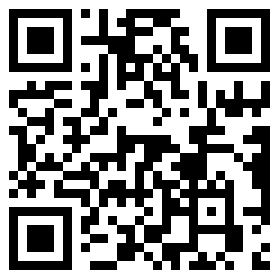 About 142 athletes from GAC and 21 subsidiaries participated in the competition. The competition consists of three groups: mixed men's singles, women's singles, men's doubles, women's doubles, mixed doubles, men's singles and women's singles. At the beginning of the mixed group competition, it was against the super-powerful GAC parts. In the face of the strength of the other side of the professional mobilization, the team members of Guangzhou Showa on the field, you attacked me, do not discourage, do not give up, and finally lost because of the strength. At the beginning of the second game, the players worked hard to adjust their mentality, the passion continued to rise, and the atmosphere was very active. In the end, I won the victory. In the third game, in order to obtain the group's qualifying opportunities, the players actively discussed the best array plan, and finally achieved good results in the fierce competition and successfully qualified in the competition. After getting the team's qualifying, the team members dare to fight and fight, keep making progress, every minute must compete, and finally get the eighth place in the mixed team competition among the multiple teams. On May 27th, the men's and women's singles two competitions, Bai Zhendong, Feng Canlian, Li Xiulian, and Ye Hao all passed through the group. With unlimited vitality and superb skills, the group was out, and Bai Zhendong was in the men's singles competition. Zhonghao won the fourth place with excellent results. 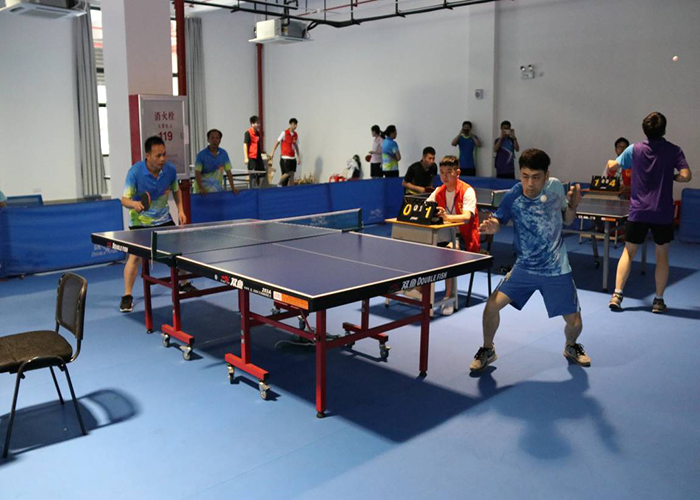 In 2018, the "Guangzhou Auto Parts Cup" staff table tennis match came to a successful conclusion. 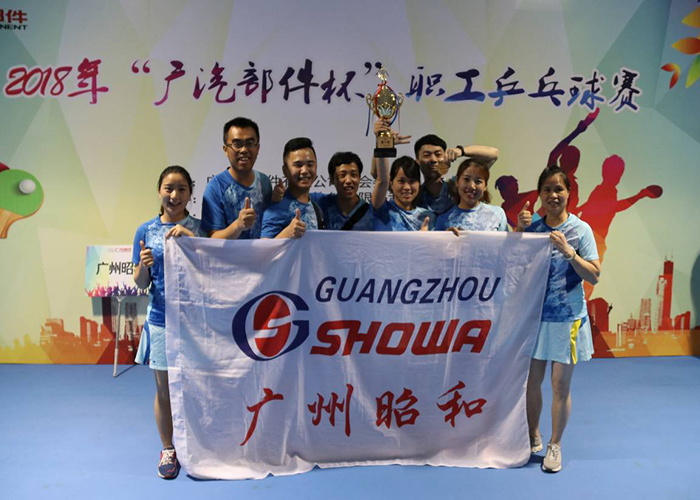 The Guangzhou Showa team members lived up to expectations and achieved excellent results. They also showed a good competitive state and promoted the spirit of "unity, cooperation, hard work and enterprising" in the competition.